Before heading north, I'll just start with BANGKOK- the capital and the heart of Thailand. This city is full of hustle and bustle. 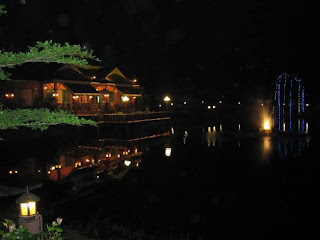 Personally, as much as it has a lot of history and famous temples I would only stay here for 2 or 3 nights at the most. 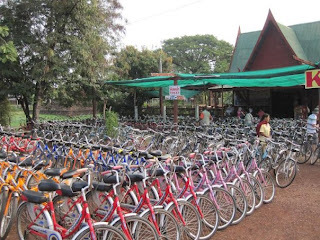 There are many different hostels and hotels all around this area and nearby. 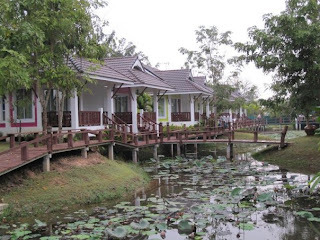 The good thing about Thailand is that for a good 3 or 4 star hotel, the price is considerably cheap (about $40NZD per night for a decent place). If you just want a place to lay your head and are not fussed about spending too much I would recommend either the Sawadee Khao Sann Inn or Sawadee Bangkok Inn. 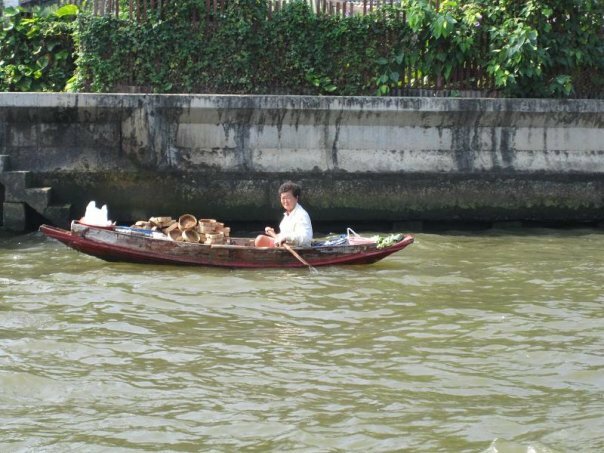 Both are around the corner from the infamous Khao Sann Road Markets, and offer dormitory rooms or private rooms. They are both clean with basic necessities and offer breakfast included as part of the nightly rate. You might also recognise Sawadee Bangkok Inn from the movie 'The Beach'. Or else for something a little further out, Lub D Bangkok Hostel comes highly recommend from friends who have stayed here. Great atmosphere and service. Otherwise, for a slightly longer walk away (slightly longer meaning 5 minutes instead of 2) I did stay a night at the Royal Hotel. 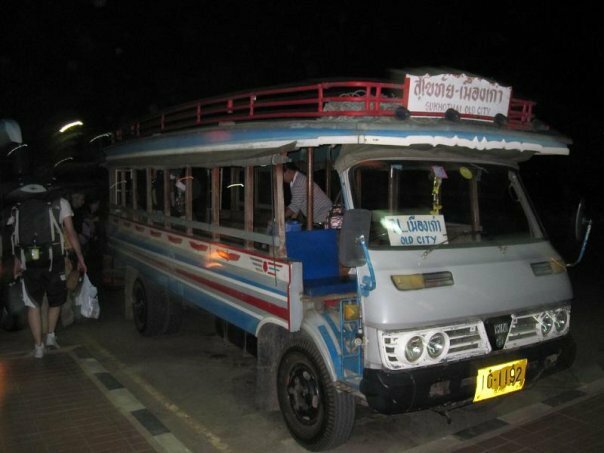 Open air swimming pool, two restaurants inside, storage for bags (cost about 10,000THB per day, per bag), taxi service and a travel desk. 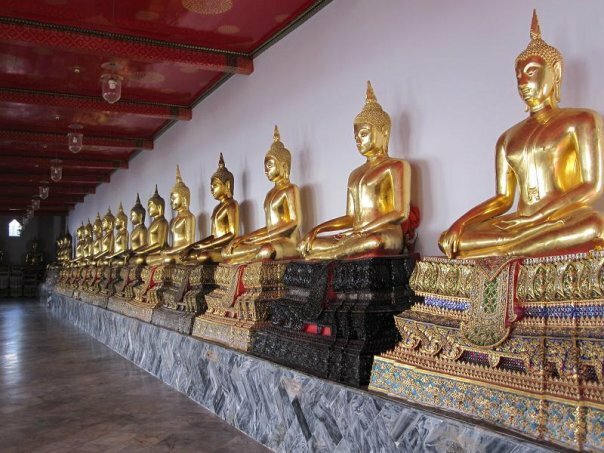 If you limited on time and want to see temples there is one that is a must see and that is the Wat Pho Temple. 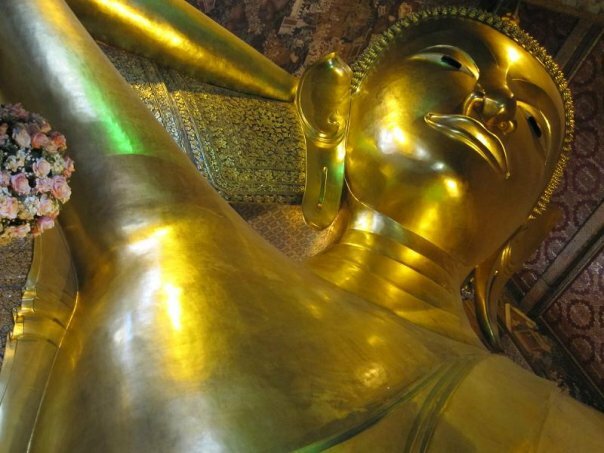 This is home to the infamous reclining buddha. 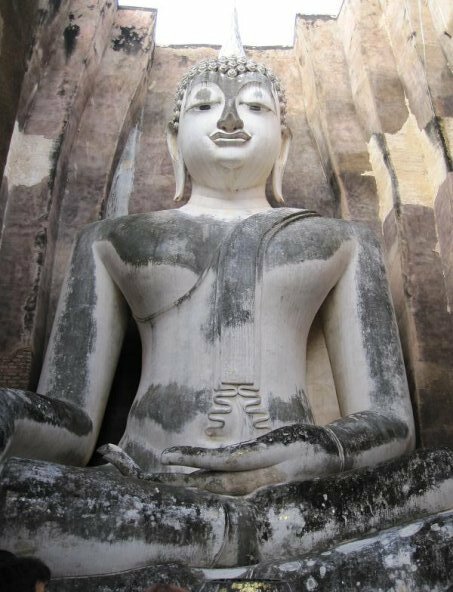 It is 46 metres long and 15 metres high and was designed to illustrate the passing of the buddha into nirvana. 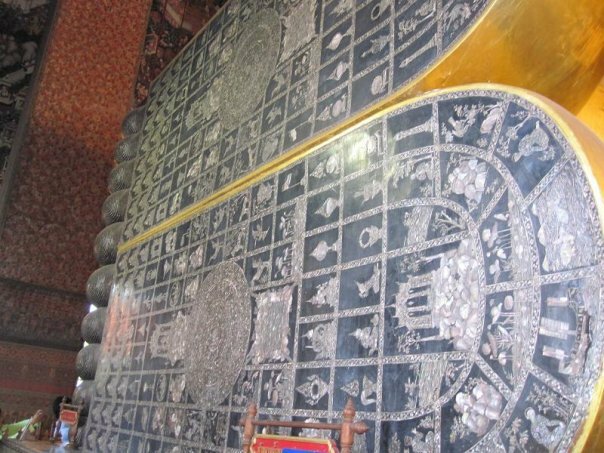 The feet and the eyes are engraved with mother-of-pearl and the decorations at the feet are to represent 108 auspicious characteristics of a true buddha. 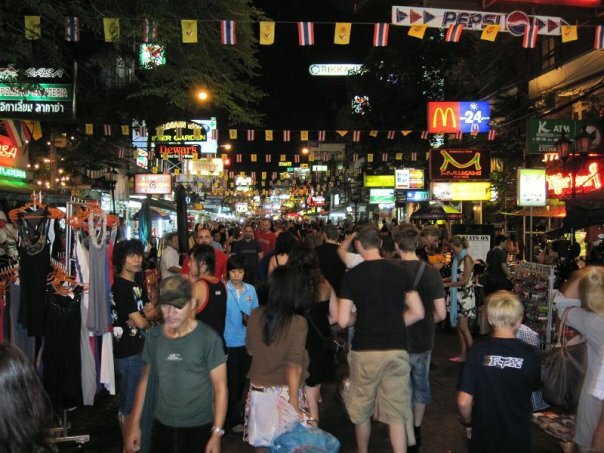 *Khao Sann Road - Test out your bargaining skills or enjoy some tasty street food, or pop into one of the local restaurants for a cold Singha beer. 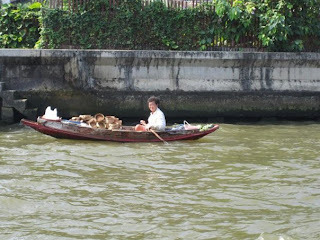 *Chao Phraya River - Here you can feed catfish, see the river houses on stilts and even see some floating markets. 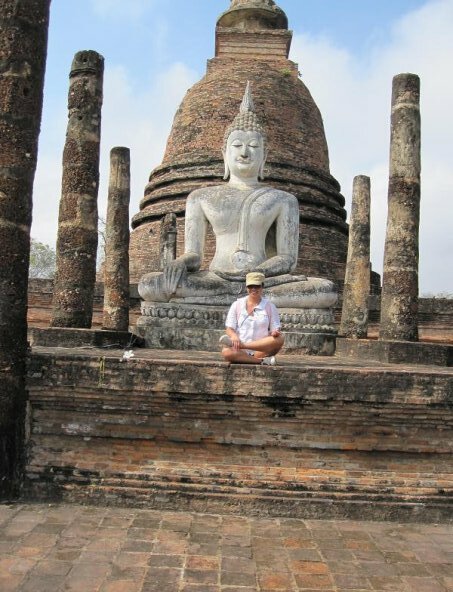 This is easily one of my favourite places in the world so far, and in Thailand. 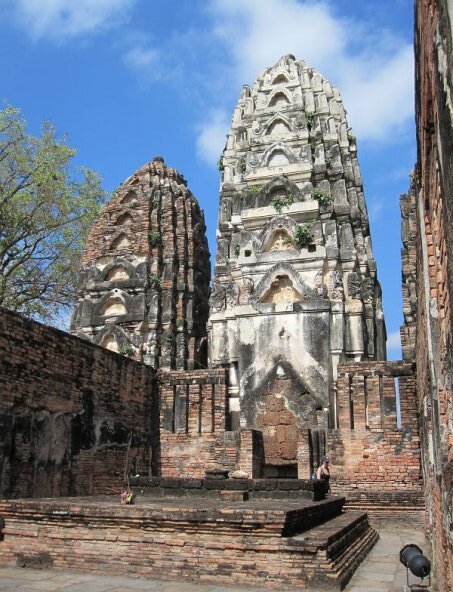 This was known as Sukhothai Kingdom, which existed from 1238 to 1438. This is Old Sukhothai, which is where I stayed and ventured around. About 12km outside of this is New Sukhothai. 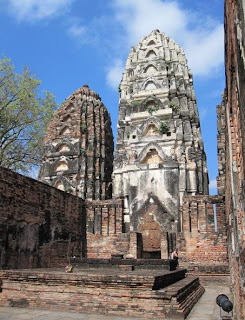 The old capital (Old Sukothai) is now in ruins and has been labelled as a UNESCO World Heritage Historical Park. It has so much character and history. Such a beautiful place to get lost in. 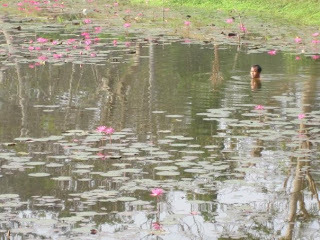 I was lucky enough to arrive when the lotus flowers were blooming in the river, as well. The best way to get around the park is if you hire a bicycle. One of my favorite temples in the park. 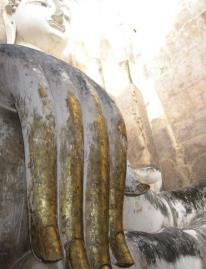 The hand of the buddha above. You can buy gold painted paper to stick onto the buddhas hand as an offering after a prayer. 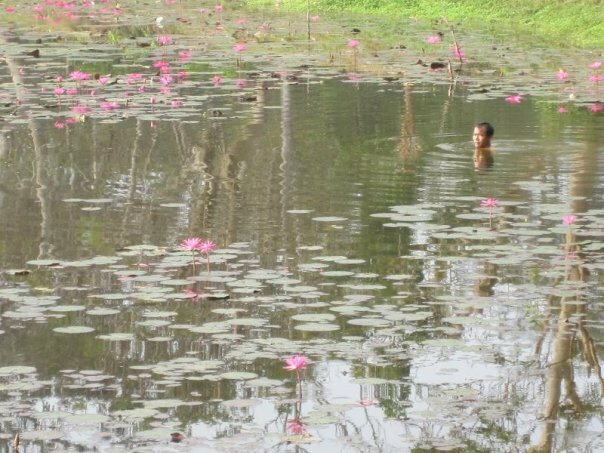 A local cooling down in the river after a days work. 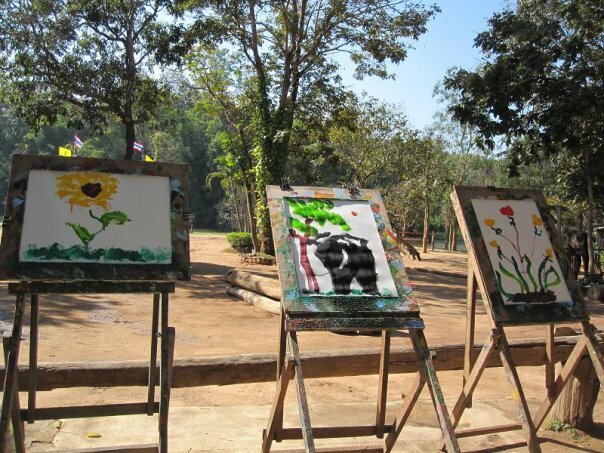 There are many different elephant conservation centres in Thailand, however, some don't have the best resources or staff to properly manage and run a massive operation like this. 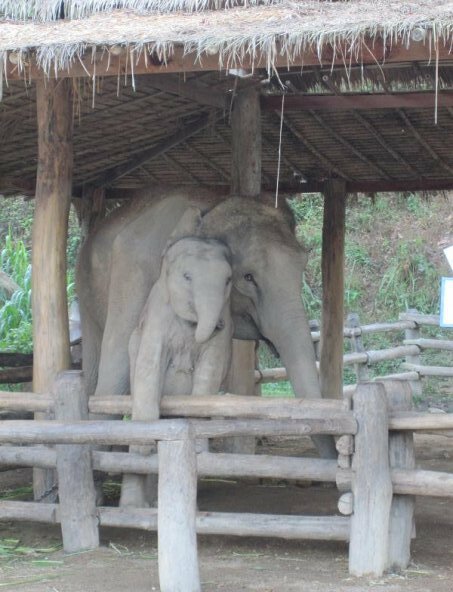 Also, a lot of ethics and animal welfare come into play as well especially from tourists unconsciously keeping an eye out on how the animals are treated in places like this. When I came here I was very impressed by how the centre was managed and built. You could tell the staff really did care for the elephants well-being and were not just used as a showcase for tourists that visit. The animals were almost given free reign at certain points of the day, were also well fed, had large enclosures and adequate health care facilities. If there is a centre I would recommend for people to keep coming and feeding money into to help sustain, it would be this one. 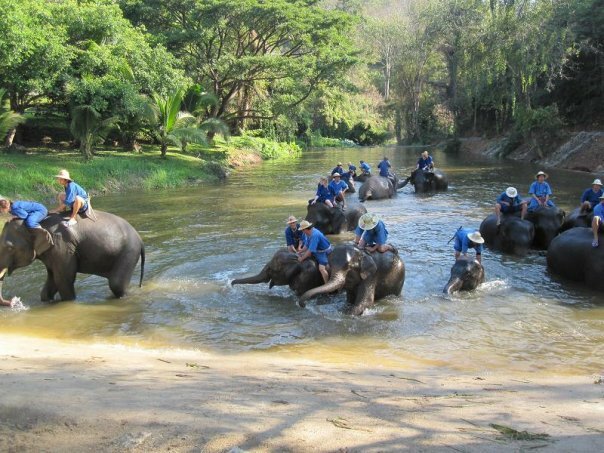 Not only can you witness these magnificent animals at play and in their almost natural habitat, but you can also volunteer here for a period of time to become a 'mahout' (elephant trainer/caregiver). Depending on the length of time you decide to do this you can get very close and personal with your elephant and while there I met a couple volunteers who had been back twice to which their same elephant remembered them. 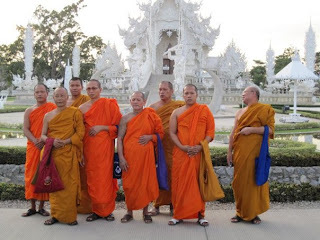 I went here en-route to Chiang Mai. Mahouts giving their elephants a bath / a time to cool off. Chiang Mai is my second favourite place in Northern Thailand. 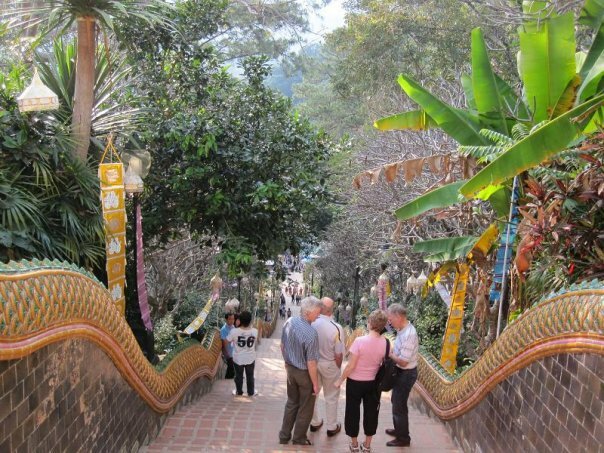 The city is surrounded by hillsides and although is still a busy city, it feels less stressful than Bangkok. 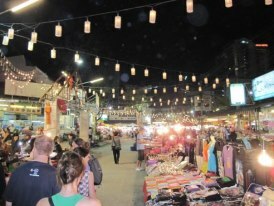 The night markets here are infamous and while I think Khao Sann has better selection of clothes, here you can find more handicrafts and souvenirs. While in Chiang Mai, don't forget to try your hand at a traditional Thai cooking class. Delicious value for money. Chiang Rai (about an hour or two out from Chiang Mai) also holds one of the most interesting temples I've seen so far. It's not the typical temple you see in Thailand but the designer made it with a 'heaven and hell' theme in mind, something that is usually not seen in Buddhist thinking. 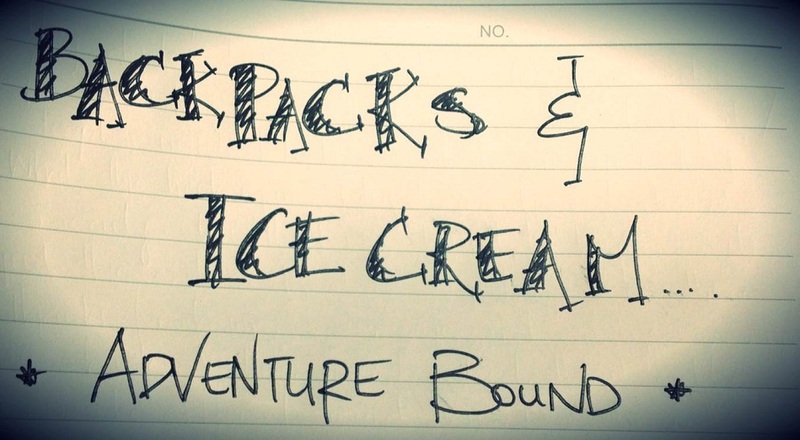 A definite must-see if you are up this way. 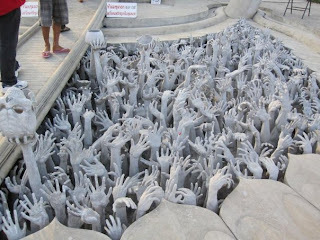 The temple is called Wat Rong Khun (White Temple of Northern Thailand), an unconventional Buddhist and Hindu Temple. Construction began in 1997 and is supposed to end by 2070. Night markets at Chiang Mai. Wat Phrathat Doi Suthep- 309 steps up to the temple. 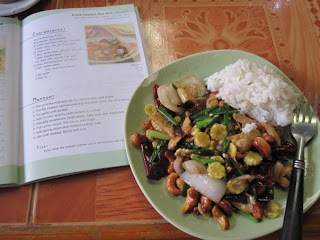 Cooking class- traditional Chicken and cashew nut stirfry. Monks at the white temple. 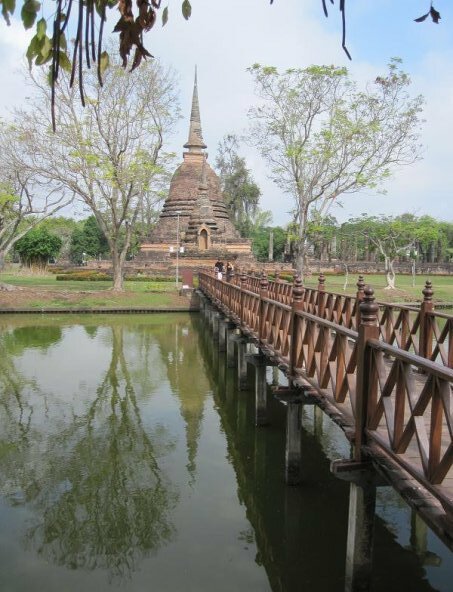 From Chiang Mai you can head towards the Golden Triangle, which is where Laos, Myanmar and Thailand meet. 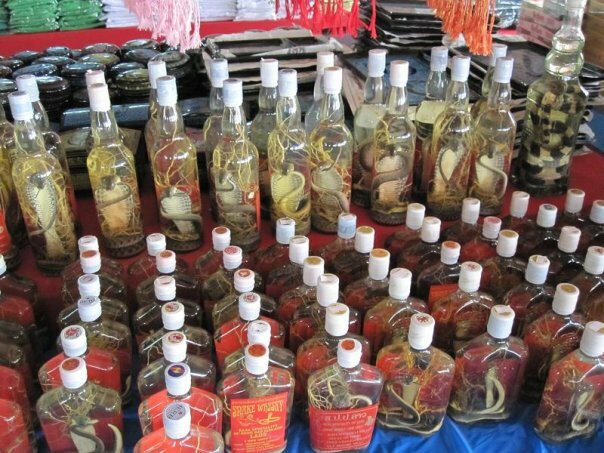 Historically this area is known for the trading and growing of Opium. 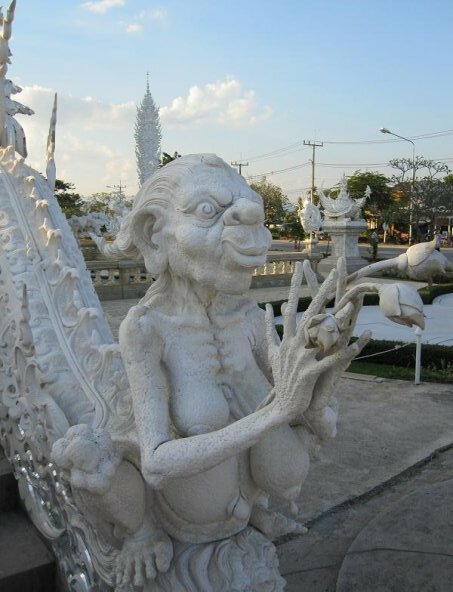 From the Thailand side, Chiang Rai province, they have an Opium museum if you wanted to know more about this history. 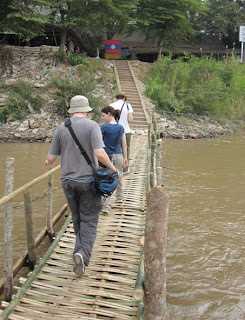 From here, I was able to get across to a part of Laos via long boat. Here we spent a couple hours meeting locals and shopping around the local markets. 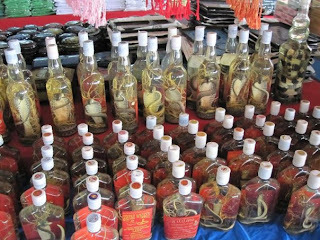 Some snakes and reptiles soaked in very strong Vodka like alcohol.